Environmental groups have long claimed that companies with legal licenses to clear timber on economic land concessions (ELCs) use them to launder timber illegally cut elsewhere, with authorities often turning a blind eye. A month after the permit in question was renewed, over 1,000 illegal first-grade logs were discovered and confiscated on the concession—the third seizure there last year. The Yellow Field concession within Kompong Speu province’s Phnom Oral Wildlife Sanctuary is adjacent to another Chinese plantation, Great Field, and both are just under the legal ELC limit of 10,000 hectares, according to data from NGO Open Development Cambodia. The companies had subcontracted a construction company, PSKV, to clear timber inside the concessions, according to Conservation International, a U.S.-based NGO. PSKV’s permit to clear forest in the concession expired in 2015. Officials from the Agriculture Ministry’s Forestry Administration visited the Yellow Field concession in August last year and found there was no wood remaining to extract from the ELC, according to Conservation International, leading the officials to recommend that PSKV’s permit to clear wood from inside the concession not be renewed. Nonetheless, documents issued by the ministry show that PSKV’s permit to operate a sawmill and process wood inside Yellow Field’s ELC was renewed for nine months on September 6. The conditions on the concessions “could only mean that they would use a new permit to launder timber from surrounding protected areas,” Tracy Farrell, director of Conservation International, said last week. Shortly after PSKV’s permit was renewed, Wildlife Alliance spent about $2,000 to transport a team of Forestry Administration officials and staff from the provincial environment department to the site, according to a Facebook post from Southern Cardamom Protection Program, an affiliated environmental group. The team claims to have found piles of illegal timber, and the post features photographs of large unsawn logs—about the length of an army truck—strewn next to warehouses deep in forested mountains. 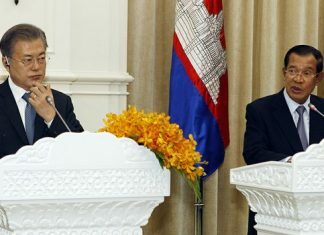 Two weeks after the visit, on October 7, PSKV’s renewals were annulled in another proclamation, or prakas, issued by Agriculture Minister Veng Sakhon. 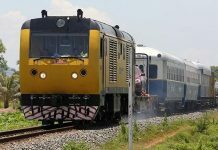 “The prakas number 56 that came out on the 6th of August 2016 from the Ministry of Agriculture Forestry and Fisheries that allowed PSKV Construction Co. Ltd. to extend the validity of their license for their timber factory and wood processing plant inside the development area of the company Yellow Field which is located in the Oral district of Kompong Speu is annulled,” the second prakas said. Contacted on Monday, the minister said that the whole thing had been a misunderstanding. “We didn’t check properly” the first time, he added. Ms. Farrell said that the interested NGOs had to petition Environment Minister Say Sam Al to have the permits canceled. Mr. Sakhon confirmed that NGOs and the Environment Ministry had been involved in the decision. “It’s very complicated,” he said. Ms. Farrell anticipated that this sort of renewal would not be the last—and said the country’s conservation NGOs would have to remain vigilant. “What we’re going to be left with is a case-by-case situation where we’re going to have to continue to get intelligence when these ELCs come up,” she said, referring to expiring permits. 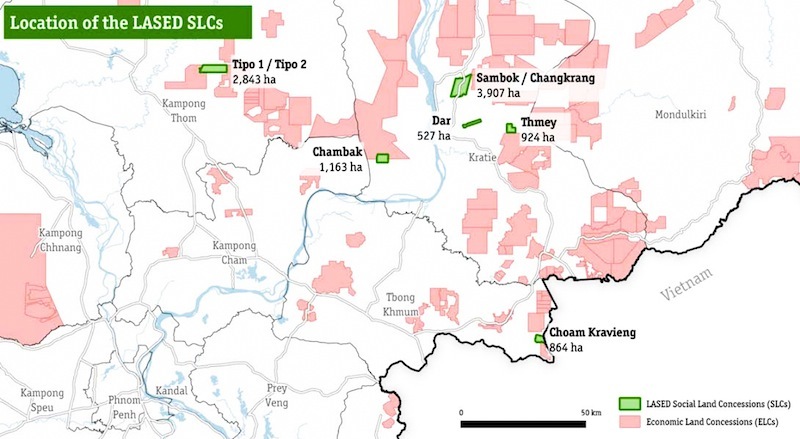 Mr. Sakhon confirmed that there were a number of ELCs—or companies subcontracting for ELCs—with timber extraction permits still operating in Cambodia’s protected areas. Some of these permits, he said, would likely be renewed. Those that have “paid money to the Ministry of Commerce already to extract the timber” would be allowed to continue, he said. 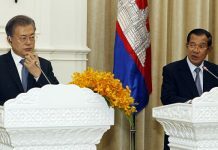 However, he added, timber laundering and forestry crime were things of the past, thanks to an illegal logging task force launched about a year ago and headed by National Military Police commander Sao Sokha.